Oh-some MNL! If you may ask, yes its an online shop for awesome korean skincare items I've tried, not yet reviewed here in my blog. I hope I get to spread the aim for better skin by using natural and gentle products. 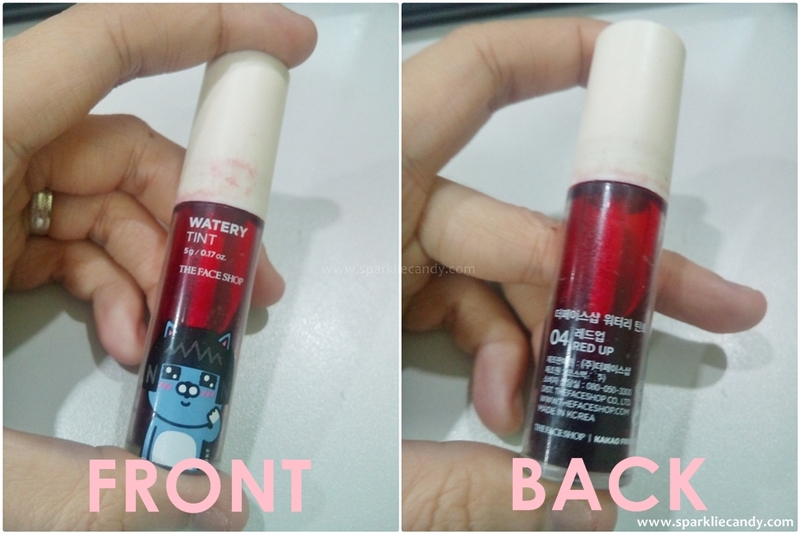 For today we are reviewing The Face Shop Kakao Watery Tint in 04. 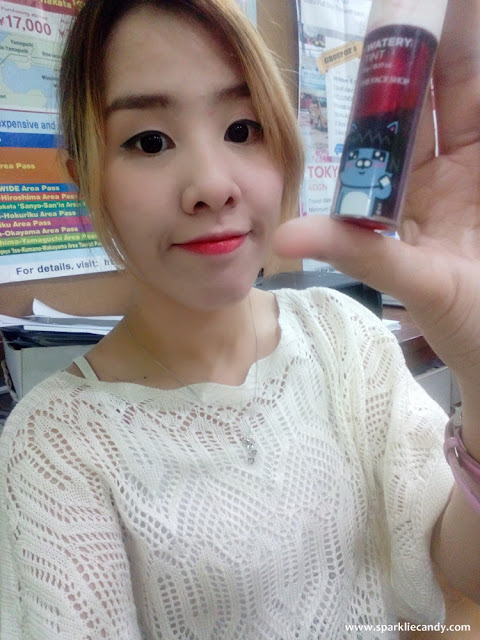 This is actually my friend's lip tint by the way, but due to liking it a lot I will be getting one for myself soon. 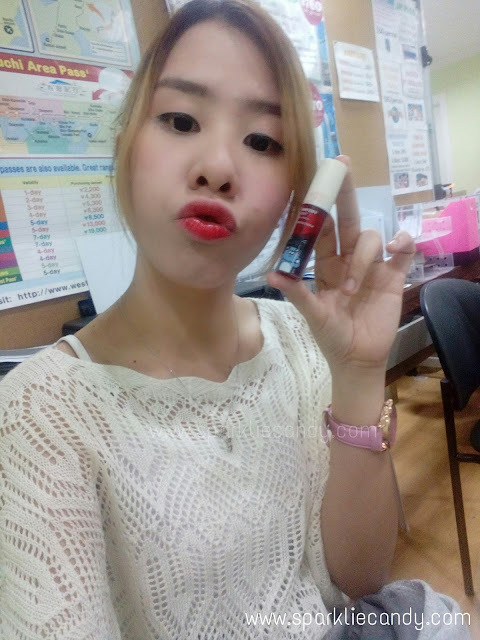 This tint contains milk and natural oils that creates a moisturizing shield over the lips,giving them a healthy look. Dispense an adequate amount and apply to the lips. Create a natural gradient by concentrating on the inner lips and allowing color to fade towards the edges. Plastic tube is sturdy and it has cute Kakao characters on it! I forgot to take a picture but just like typical lip tints it has a doe foot applicator as well. My impression of The Face Shop is that it only sells expensive items until I came to know that they offer items at par with Etude House. Remember my review on their Jeju Aloe Vera Fresh Soothing Gel? 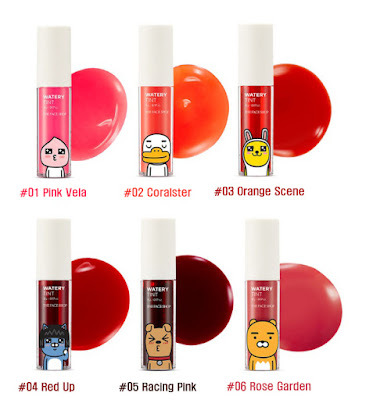 First thing we should know, is if Kakao Watery Tint is scented? Yes it is. Its like a sweet scent but when applied it doesn't have any taste. 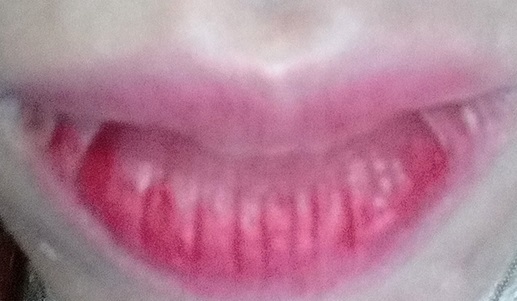 Usually lip tints have this bitter taste and if its too liquidy it transfers on my teeth, yikes. One thing we should know is that the consistency is like watery gel. It doesn't slip once applied and dries just as fast as we spread it on. Below is a swatch. Its not too watery and not oily but it lasts after a whole meal. My friend who owns this product also only retouches on the end of the day. On the lips only one swipe, around 2-3 dots is good. 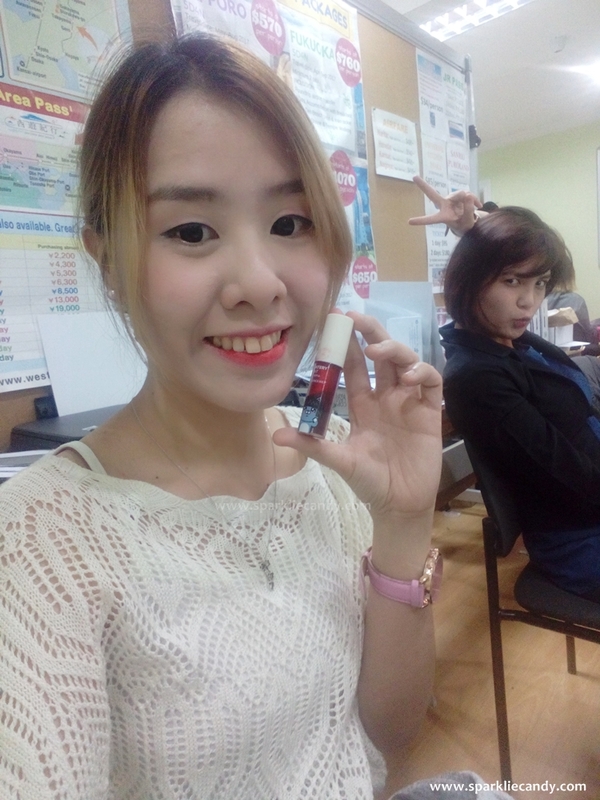 The Face Shop Kakao Watery Tint is really pigmented and the color is very bright red. On cheeks maybe 1-2 dots will do, make sure to blend quickly. Here is a lip snap after eating. My lips is still red! Awesome. Sorry for not taking a full blown face shot though. P360 for a 5g tube and available at The Face Shop kiosks nationwide. 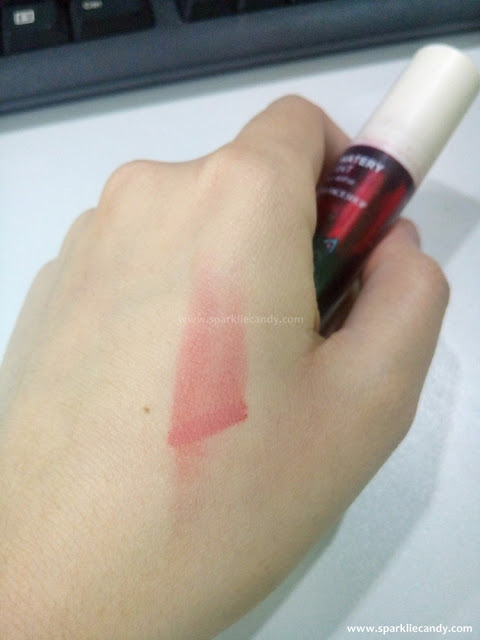 Apply on top of similar shade lip stick. It will stay so much longer! Well this awesome thing is my friend's actually but trying it out makes me want to buy one. I also want to try their other shades! 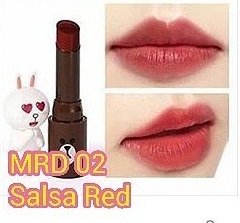 I wanna try MISSHA Poptastic Jelly Tint in Salsa Red, its like brick red or something like brownish red shade which looks really flattering on any skin tone. Annnnd yes here is the link to my online shop again, yay!